Want to party with the Red Hot Chili Peppers and the Killers next year but the Global Financial Crisis has drained you bank account? Well, you're in luck. Due to overwhelming demand Big Day Out is introducing P.O.T.T. or Pay Over Time Ticketing. Starting immediately and ending on September 23 you can pay for your Big Day Out ticket (GA and Like A Boss) in four instalments, with the final instalment happening just in time for the christmas stocking. Taking advantage of the Pay Over Time Ticketing is somple. 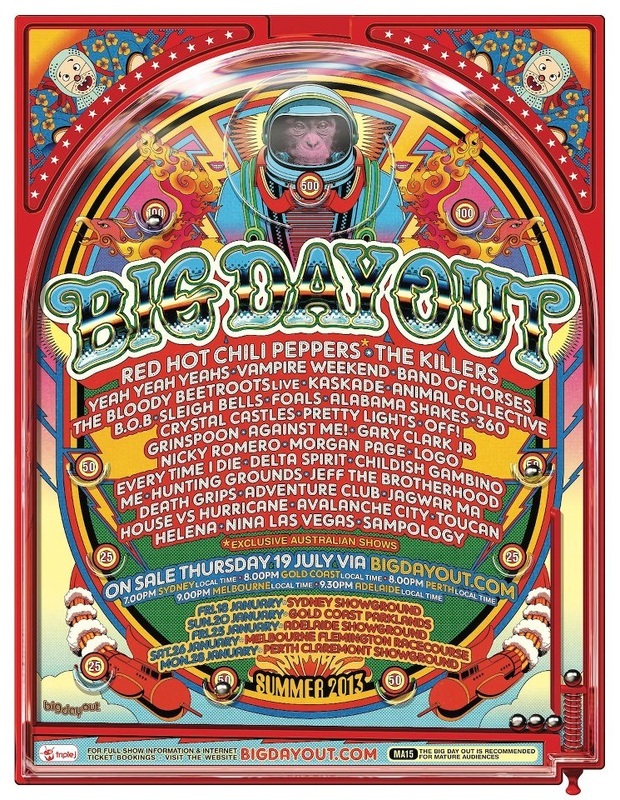 Just go to Big Day Out and follow the ticket links for your city. Then choose the Pay Over Time option. And just in case that wasn't enough information, here's the faqin faq's. P.O.T.T. stands for Pay Over Time Ticketing; a deferred payment system. There are four easy payments over four easy months; a non-refundable deposit and 3 installments. When can I get my P.O.T.T.? You can start using P.O.T.T. straight away. Just go over to our website, and follow the ticket links for your city. Then choose the Pay Over Time option... but be quick. P.O.T.T. is only available until Midnight, 23rd September. First, upon registering for P.O.T.T., a non-refundable deposit is taken. This includes a $5 finance charge. Then three additional monthly instalments are charged. After the third instalment has been approved you will receive your e-ticket. For each GA ticket, the non-refundable deposit will be $50.00, including a $5 finance charge. Each of the three monthly instalments shall be $40.00. The total of each GA ticket will be $170.00 including GST. For each Like A Boss ticket the non-refundable deposit will be $75.00, including a $5 finance charge. Each of the three monthly instalments shall be $65.00. The total of each Like A Boss ticket will be $270.00 including GST.